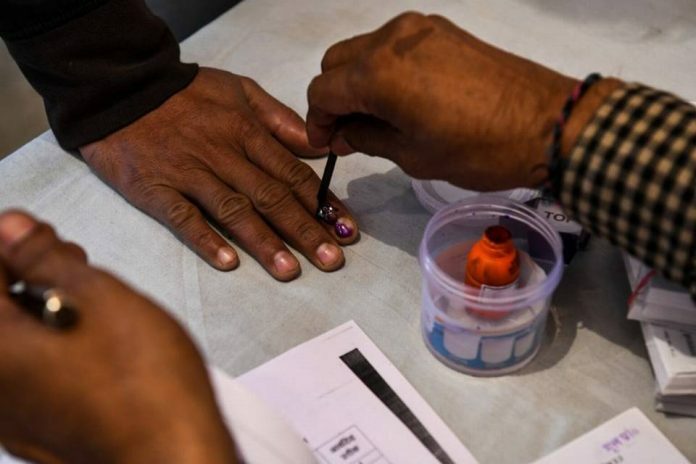 Exit polls on December 7 predicted a win for the Congress in Rajasthan and close contests between the BJP and the Congress in Madhya Pradesh and Chhattisgarh. The Telangana Rashtra Samiti seemed to be headed for a win in Telangana, with the Congress alliance close behind. In Mizoram, the MNF seemed to have a slight edge over the Congress. The Times Now-CNX exit poll showed the BJP winning 126 out of 230 seats in Madhya Pradesh, and the Congress winning 89 seats. The ABP-Lokniti CSDS poll gave the Congress 126 and the BJP just 94. The India Today-Axis My India poll showed a close contest, with the Congress winning 104-122 seats and the BJP 102-120. The Republic-Jan Ki Baat poll showed the BJP winning 108-128 seats in MP, and the Congress bagging 115-95. In Chhattisgarh, too, results were mixed. TN-CNX showed the BJP winning 46 in Chhattisgarh, out of 90 seats, and the Congress 35. The poll gave the BSP-Ajit Jogi front seven seats in the State. However, India Today-Axis My India poll gave the Congress a clear majority in Chhattisgarh with 55-65 seats and the BJP just 21-31. The Republic-Jan Ki Baat poll showed the BJP winning 40-48 and the Congress 37-43 seats. C Voter forecast an edge for the Congress, with 42-50 seats, with the BJP getting 35-43. ABP-CSDS, however, gave the BJP 52 and the Congress 35 seats.